LTL is an acronym for less than truckload. The term LTL freight shipping generally refers to freight that requires less space to ship than a full truckload. Shippers who use LTL freight shipping typically ship freight that does not exceed 8ft of linear space or 10000 pounds. LTL carriers are extremely proficient in shipping and delivering LTL freight using their network of terminals. How Are LTL Freight Rates Calculated? LTL freight shipping rates are calculated according to the shipment’s weight, dimensions, and freight class. The NMFTA is the association that oversees freight classes for LTL freight shipping. The NMFTA developed a system that places LTL freight shipments into 1 of 18 different freight classes. These freight classes begin at 50 and increase to 500, the higher the freight class the higher your freight charges. 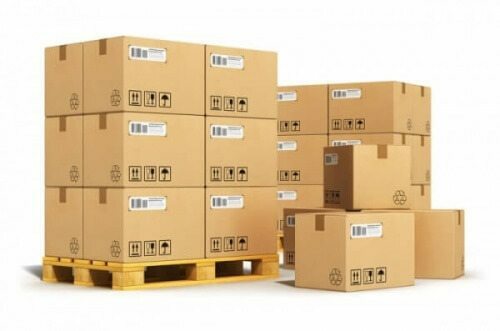 Can I Save Money Using Volume LTL Shipping? Yes, most of the time you can save money using LTL volume shipping. A customer must accept a limited carrier liability in order to receive these special rates. In order for an LTL freight shipment to comply the shipment must meet certain criteria. The shipment must be at least 8 linear feet with a total weight exceeding 5,000 pounds. LTL carriers offer various accelerated freight services. These services shorten an LTL’s transit time by 1 or more days. This service is referred to as day critical or urgent freight shipments. There are also time-sensitive shipments that require time critical service. These shipments generally have an LTL shipment delivered before noon on a designated day. 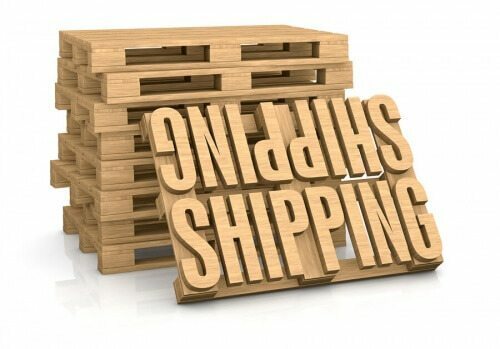 How Do I Ship an LTL Freight Shipment? After you receive your LTL freight rate, the next step is the booking process. Freight-Specialist provides you with everything you need. The main document is called a BOL (bill of lading). The BOL is given to the LTL trucking company along with your shipment. Once the driver makes pickup the driver affixes a label with a pro number on the BOL. This pro number allows you to track your shipments progress online. What If My Pallet Is Not A Standard? As recent as March 5th, 2018 many LTL carriers published new regulation to their tariffs. Pallets that exceed 8ft in length are assessed extreme length fees. Standard sized pallets measure between 40×48 and do not exceed 48×48. Some carriers have yet to apply this rule but will do so in the near future. Manufacturers and distributors can tell you if a shipment is deemed hazardous for transport. A MSDS tells you everything you need to know about hazardous shipping. Hazardous classes in the MSDS table vary from 1 to 9 and packing groups are from 1 to 3. Since Freight-Specialist is committed to working within our client’s budget. We achieve lower LTL freight shipping rates by securing contracts with major LTL carriers nationwide. For volume LTL shipments, we look to owner-operators to ship your LTL freight for less. Freight-Specialist works within our client’s budget without sacrificing efficiency or quality. We have budget carriers for those customers wishing to ship as cheap as possible. We also offer other LTL freight companies that offer expedited services for time-critical shipments. Freight-Specialist has over 25 years experience in the transportation and trucking industry. Our freight experts know how to handle fragile and high-value commodities. When shipments require special handling and arrangements speak with a professional at Freight-Specialist. Our LTL freight carriers offer both national and regional services. Through a complex network of partnerships, we can ship LTL freight across the country for less. Our services cover LTL freight shipping in all North America. Our competitive rates and variety of cost-effective options are designed with the customer in mind. Freight Specialist offers a host of logistic management services and supply chain solutions. We provide innovative solutions with the best people, processes, and technology. © Copyrights 2015-2018 Freight-Specialist. All rights reserved.